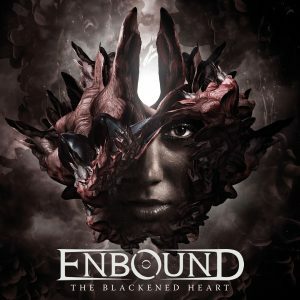 Review: Enbound – The Blackened Heart – Inner Wound Recordings – Release: Out Now. Enbound was formed in 2006 by drummer Mike Cameron Force (Zonata, Poem). Some years were spent finding the right direction for Enbound. In 2009 the line-up was complete and they released “And She Says Cold” in 2011. The got great reviews and now they present us the follow-up “The Darkened Heart”. When Jacob Hansen masters an album, you know the sound is gonna fill your ears with delight! So, this album blows your speakers for sure! 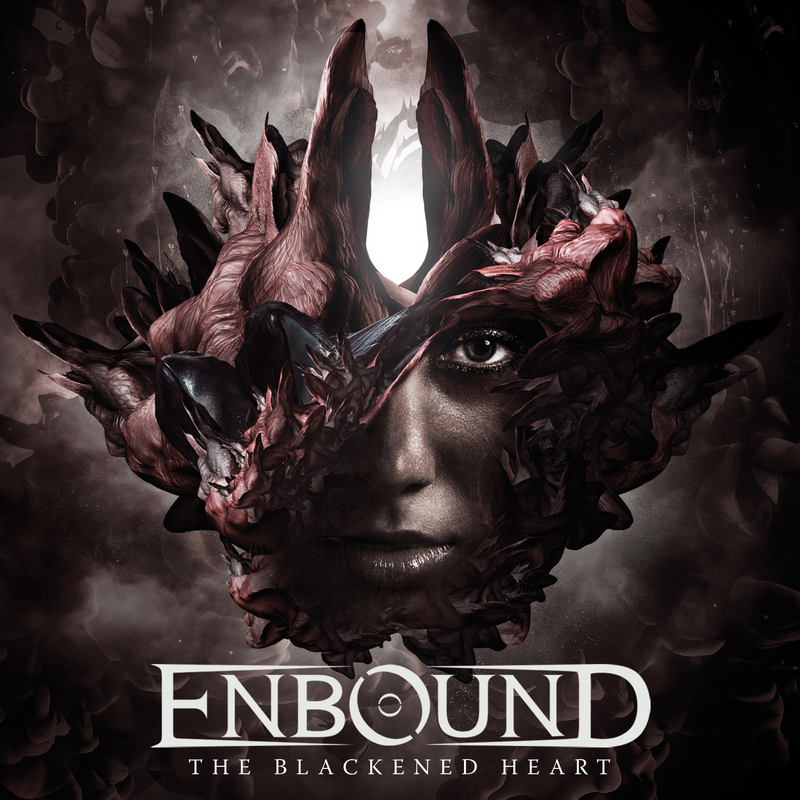 Enbound delivers a polished form of melodic power metal, with superb riffing and out of this world vocals from Lee Hunter (aka Lars Säfsund). ‘Give Me Light’ is more aggressive with pounding double bass drums! But is still holds some melodic ‘softer’ parts. The guitar sound reminds me a lot of the latest two albums from Dynazty. The combination of the rather heavy guitar with the utter melodic vocals is a shot in the bullseye if you ask me. Keys are present in the background to fill the gaps. Mr.Flowberg knows how to stroke the guitar strings. Just listen to the shredding solo on ‘Crossroad’. You get variation on this album, because ‘Get Ready For’ is a pure melodic rock track. Bass maestro Mike Lepond shines during the instrumental break of ‘Feel My Flame’. ‘Twelve’ is a bombastic power metal track with a slower pace( after the almost Dream Theater – Symphony X start). They add some orchestration and subtle voice-effects. It’s my favorite track. The artwork from Stefan Heilemann is simply stunning and is a real eye-catcher. The ballad ‘They Don’t Really Know’ lets us enjoy another side of Lee! Very laid back singing on the first half of the song in the lower range of his voice. After that the song slowly builds up. This album was a pleasant surprise and will be a feast for many melodic rock lovers who are hungry for that harder edge!